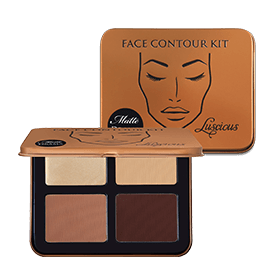 Luscious Cosmetics is an independent beauty brand created for makeup lovers across the world. Our product range features exciting, cruelty-free, and vegan products with innovative formulas and glamorous packaging that stand out with exceptionally gorgeous color results. As an Asian-origin brand, we formulate our products to survive hot and humid climates, which is a feature loved by fans in all regions of the world. 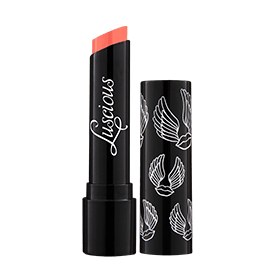 Founded in 2007 by a makeup buff, Luscious Cosmetics has gained a loyal following among celebrities, makeup artists and beauty addicts alike, attaining the status of one of the fastest growing beauty brands in the world. New and dynamic product launches keep us on the cutting-edge of the beauty industry, but always with an affordable price tag. We develop each product with a lot of hard work and passion to be as user-friendly as possible, but with professional-grade results. With a range of luxurious, yet affordable, products ranging from makeup essentials to specific solutions, we believe your beauty should be expressed as subtly or dramatically as you want. At Luscious there are no rules and no limits to create your own signature look to express yourself. Our mantra: Celebrate Your Beauty! At Luscious Cosmetics, we take the business of beauty very seriously. 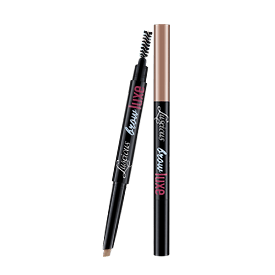 The company was founded with the purpose of creating high quality cosmetics with an affordable price tag, but without ever compromising on ingredients or ethics. All Luscious products are strictly free from animal ingredients and are suitable for vegetarians and vegans. Luscious is a proud member of PETA and all our products are cruelty-free, including all our cosmetic brushes. My friends tell me I wanted my own cosmetic line since Grade 4. “I will either be a rock star, or create my own beauty brand” I used to say, while hiding a contraband purple lipstick in my pencil case. Well, one those wishes came true! I was brought up by strong women who reveled in the ritual of applying their makeup, that empowering feeling as they put on their favorite lipstick and a sweep of mascara. As a child I used to sneak away to my grandmother’s dresser to wonder at her collection of beautiful lotions, potions and heavy powder compacts. She remains my biggest supporter and my biggest critic.Still an ardent makeup buff at college in Boston in the 90s, I was rarely able to find highly pigmented, long lasting lipsticks in drugstores or department stores that complimented my South Asian skin tone or my cultural inclination for bold shades and shimmering pigments. Everything looked too generic and serious. I resorted to mixing eyeshadow into my lipsticks to add vibrant color and a matte finish, drawing a scroll design on the lipstick tube to make it look fun and friendly. Soon, friends and family starting requesting custom shades that I would happily create for them. 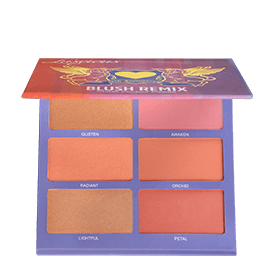 Luscious Cosmetics was born in 2007 from my quest to create highly pigmented, innovative makeup products with glamorous, fun packaging at an affordable price, without compromising on high quality or ethics. 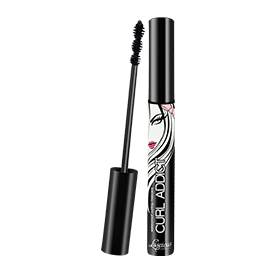 From day one all Luscious products, including makeup brushes, have been cruelty free and we do not use any animal-derived ingredients to cater to our fans, many of whom want halal or vegan products. As a policy, all our products are tested for hot climates and humidity, and we love to create waterproof, budge-proof or long-lasting formulas with skin-friendly ingredients. The Luscious Cosmetics product development team now spans 3 continents and 12 ethnicities of headstrong, serious makeup addicts with an enduring desire to create the best (and most fun!) makeup products for our customers. 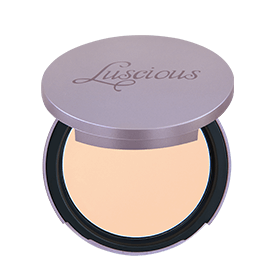 I hope you enjoy Luscious Cosmetics products as much as we love creating them for you.